The last reason alone is enough to like this one. Many BB Creams turn my skin oily after a while. Considering that I don’t have oily skin to start with, I think it quite a feat. This one however doesn’t. I’ve worn it alone for hours, driving around in the sun, going in and out of buildings and sitting and eating excellent food in hot cramped sweaty surroundings, and for me, its held up very well every time. This said, it also isn’t terribly moisturizing so I’m not too sure how it’ll hold up on very dry skin. Like most BB Creams, you don’t have to use much. A pea sized amount spread over your skin is sufficient. 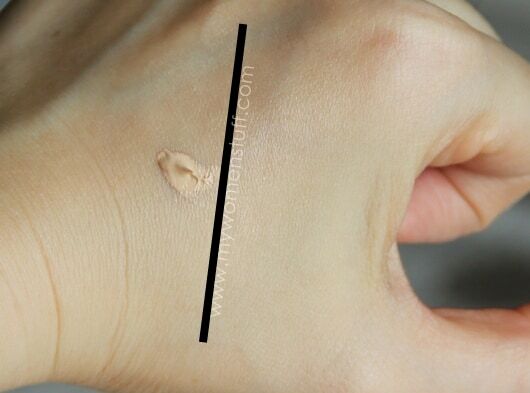 I like to take a small dab after that to layer over areas that might need more coverage, in place of using concealer. That said, the Bobbi Brown BB Cream is sheer and coverage is minimal. 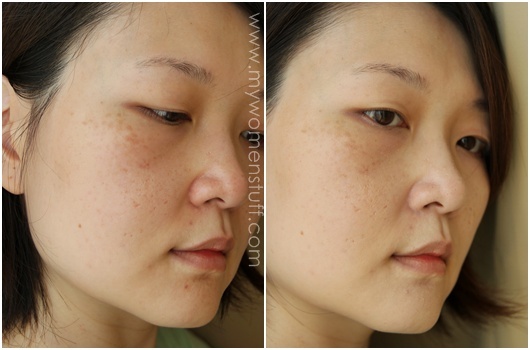 The tint is great to cover up redness on the skin but not blemishes or pigmentation as the photos below show. For some reason, the camera lens tends to intensify most blemishes, which can be very discouraging if you take a lot of photos. But in person, the whole look is a lot softer and more even than it looks in photos. I can usually get away with not layering any powder over the BB Cream although it can help with coverage if you prefer something more full coverage. On a work day I would usually have a layer of Guerlain Meteorites dusted over but on a weekend, I leave it as you see and it serves me well enough. I have found that if I layer on too much product, it does tend to look a little dry and cakey. So my advise is to go with just a pea sized amount to start with, spread it out between your hands and spread it on your face, then touch up the areas that might need some retouching. And here are some comparisons between the Bobbi Brown BB Cream (Extra Light) and some liquid foundations I have for colour matching. I have no comment on the sunscreen factor because I always have sunscreen on. If you don’t like wearing sunscreen then this might be a good one to have because even with the SPF35 PA+++ rating, it isn’t oily nor thick as most sunscreens are. To be honest, I think this Bobbi Brown BB Cream little more than a light liquid foundation with SPF. But hey, that’s me and it works for me! Bobbi Brown BB Cream SPF35 PA+++ comes in 3 shades and retails at RM126 (KLIA Duty free)/RM150 for 40ml (inland counters) at all Bobbi Brown counters and stores. Availability outside of Asia unknown. NEXT POST: Your Say: Do your skin flaws bother you? Only if you prefer something sheer and light. If you prefer something with more coverage, this will not do it. I’m a base makeup junkie and I think i have enough of BB creams for now. I’ve found one i like and will just stop at that. The recent ones i’ve tried are all disappointing. 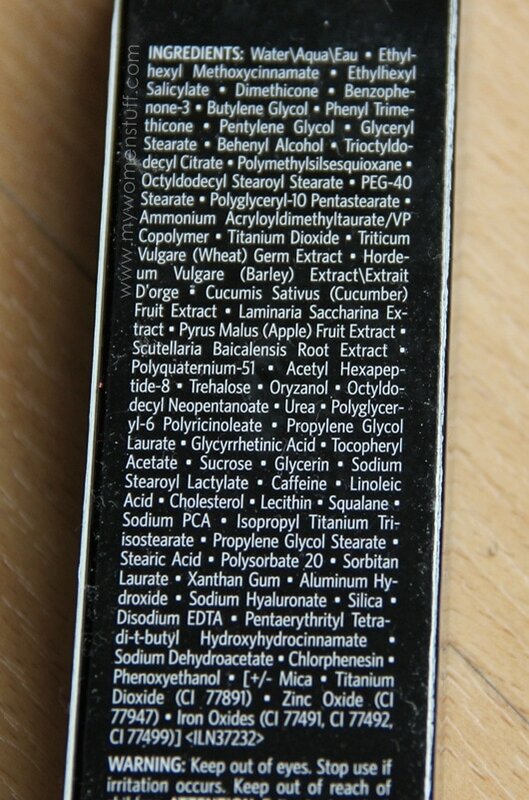 Not to say that it gave any skincare benefit (none for me), but as a foundation substitiute it has failed too mostly. I will stick to foundations for now. With foundation, i can use less but with better coverage, last better throughout the day, even feel that my skin breathe better too. Most importantly, with the right foundation, it gives me flawless looking skin bb cream can’t achieve. I love your description “In terms of texture, the Bobbi Brown BB Cream is light, but not as light as the Lancome Maqui Miracle foundation. It is creamy but not as creamy or as opaque as the Clarins Everlasting foundation. 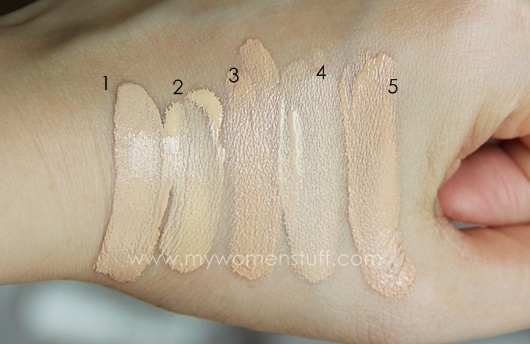 The Bourjois Healthy Mix foundation comes very close in terms of texture. It is also close in texture to the MAC BB Beauty Balm but thicker than the Hada Labo BB Moist cream but not as thick as the Diorsnow BB Creme.” Confused the hell out of me! Anyway, not so into the western BB cream. Still experimenting a lot with Korean ones. So far liking Skin79 and Etude House and itching to try a whole load of other brands now flooding our stores! Wow, u are so fair that I can see the veins at your temple. 😛 May I know the Hada Labo BB moist cream swatch is what shade? Haha throbbing veins 😛 The Hada Labo is in Light Beige – it comes in 2 shades – Light and Medium. I’ll have a post up soon. All in all, it’s a good buy! I think its fairly decent at covering redness and a spot of concealer does the trick for the rest 🙂 Unless I go the route of thick heavy foundations I’ve never found one to actually cover scars. Glad you like it despite it though and that Medium suits your skin tone! 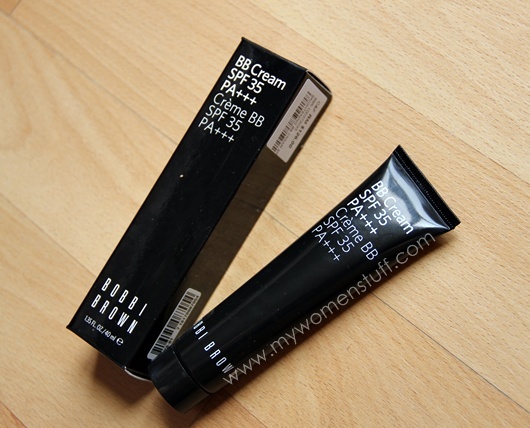 I think I’ll stick with the Bobbi Brown Tinted Moisturizer – thanks for the review! yes…actually to me BB creams act like a tinted moisturiser with a teeny bit better coverage perhaps. It’s usually nothing like a foundation. Thats how I feel too! They do tend to feel more emollient than foundation. Must be because they have to be moisturizing too lol! 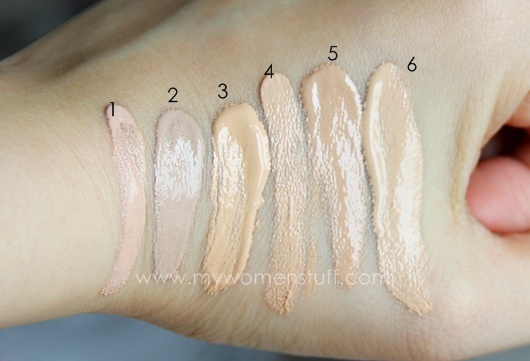 I’ve been wondering if the tinted moisturizer might be this… named differently for different locations LOL! Maybe not suitable on my face. the dreaded word – AL. CO. HOL. sigh. Oh sigh … no escaping that dreaded word is there? If girls in Brazil like the your skin but better, they might like BB Creams! But only after the brands learn to formulate darker colours! Neither. Choose a shade that matches your skintone. If you are dark, you would best look into liquid foundations rather than BB Creams which usually come in lighter shades. Love your review, now i am following you.